NEW BREMEN, Ohio (September 4, 2012) – Crown Equipment Corporation, one of the world’s largest material handling companies, announced today that it has again earned recognition in one of the world’s preeminent design competitions. Selected by the Industrial Designers Society of America (IDSA) and presented by Yanko Design, Curve magazine, FUSE Conference and Core77, Crown earned a Gold International Design Excellence Award (IDEA) for the Crown RM 6000 narrow aisle reach truck and a Bronze IDEA for the Crown QuickPick® Remote Advance low-level order picking system. These honors mark Crown’s seventh consecutive year earning an IDEA. Crown Equipment is one of the most decorated companies in the Commercial and Industrial Products category of the IDEA competition, with a total of 21 IDEA awards. It is also one of the most recognized companies regardless of product design category. The Crown RM 6000 is the industry’s first MonoLift® mast reach truck to provide unprecedented productivity gains through improved visibility, lift capacity, lift height and lift speed. Selected as an IDEA winner in the Commercial and Industrial Products category, the Crown RM 6000 allows businesses to gain utilization, flexibility and financial benefits by leveraging existing open rack space instead of building new warehouses or adding onto existing facilities. Crown’s most recent design recognition is no surprise for Jim Slattery, vice president of operations, Fairrington Transportation. 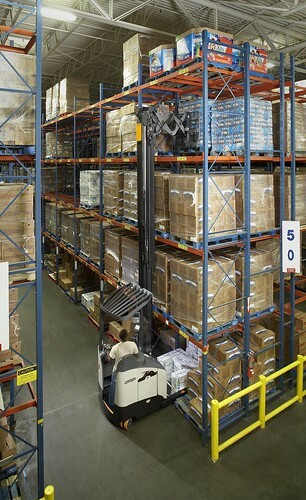 As the largest, full-service, single-source, printer-independent mailing logistics provider in the United States, Fairrington Transportation uses Crown RM 6000 Series lift trucks in its facilities across the United Sates. 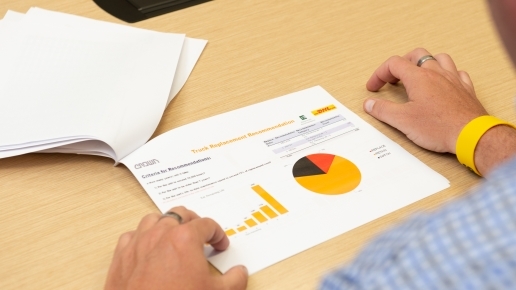 Selected as a Design Research category winner, Crown’s QuickPick® Remote Advance system uses task-automating technologies to simplify workflow and improve the picking process, thereby increasing productivity and reducing operator fatigue. The simple press of a button on a wireless transceiver allows order selectors to remotely advance the truck to the next pick location without having to return to the operator’s compartment, allowing them to instead remain in the optimum position for picking. The technology is currently available with the Crown PC 4500 Series center control rider pallet trucks. The IDSA IDEA program receives thousands of product submissions each year but only a few are honored with an IDEA award. With entrants from numerous countries and a continuing upward trend in international participation, the IDEA program highlights the best in design from around the world. Industrial Designers Society of America (IDSA) is the voice of industrial design committed to inspiring design quality and advancing the design profession through education, information, community and advocacy. Founded in 1965, IDSA is a professional membership organization with more than 3,000 members in 29 chapters in the U.S. and internationally. Crown is one of the world’s largest material handling companies. 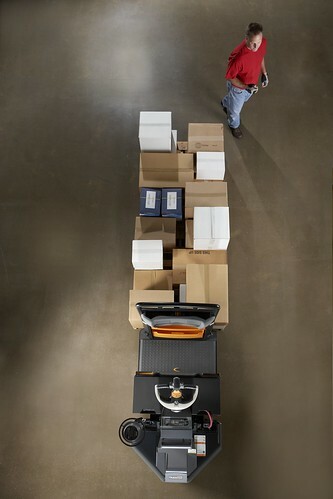 Crown’s award-winning line of lift trucks maintains a reputation for advanced product design, engineering and integrated manufacturing processes. 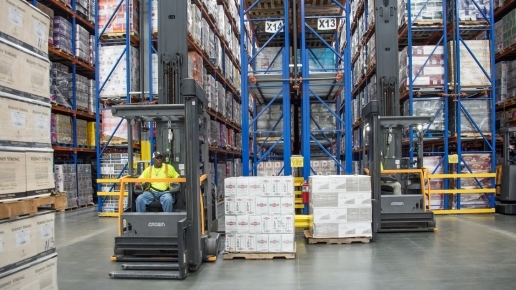 Offering a broad range of forklifts, as well as automation and fleet management technologies, Crown seeks to provide customers with forward thinking and innovative products designed to improve performance and lower operating costs. Headquartered in New Bremen, Ohio, Crown offers products that are defining the future of warehouse logistics throughout the world. For more information, visit crown.com.